For parents of teens, birthday parties with character cakes and sticker-filled favor bags are a thing of the past. While more sophisticated interests and relationships may have rendered kiddie parties "un-cool", there's no reason that teen birthday parties can't appeal to parents and guests alike. What is the party budget? Will the party be co-ed? Will the party be hosted at home, or at an outdoor venue? Will you need additional chaperones? 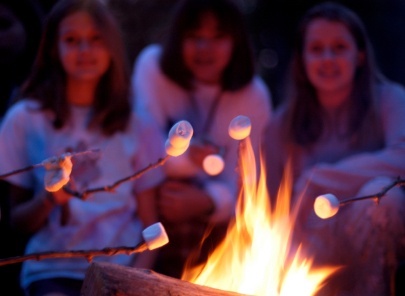 Bonfire Bash - What could be more fun than roasting hotdogs and marshmallows over a campfire? Pair on-the-stick cuisine with a hayride, carport dance floor, or overnight camping adventure, and they'll rehash the fun for weeks to come. 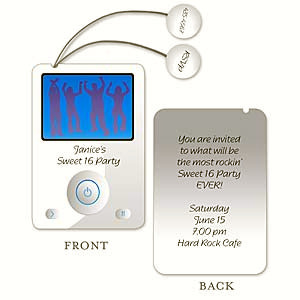 Naturally, you'll want teen party invitations that coordinate with the party's theme. If your teen is on the crafty side, encourage him or her to design handcrafted or Photoshopped invitations; if not, store-bought or emailed invitations are a sufficient alternative. If your teen's tastes have gone beyond layers of butter cream icing, why not mark the occasion with a "grown up" teen birthday cake? Popular flavors include coffee or cappuccino, red velvet with creamed frosting, and spice or carrot cake. For diet-conscious teens, consider serving lighter desserts like fruit compote, or fruit pizza with whipped cream frosting. Teen birthday gifts are a challenge for even the most seasoned shoppers. For the girlie girl, put together a make-up kit complete with lip gloss, mascara, and funky applicator brushes. For young men, sports or gaming gifts are hard to top. If you're still undecided, opt for a fast food, department store, movie, or gas gift card. Remember, the best teen birthday party ideas are those that cater to the guest of honor's interests and individual style. 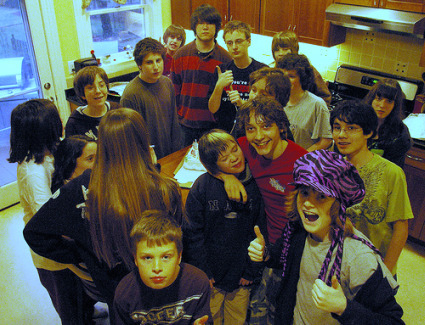 While it may not be possible to pull off the "perfect" teen birthday party, with a little patience, planning, and creativity, you'll come up with some great ways to celebrate what makes him or her unique.